Manufacturers associations such as the National Association of Manufacturing (NAM) have been wary or hostile to imports, but recognize that for U.S. firms to succeed in world markets they have to compete successfully with foreign firms. Manufacturers are the backbone of our nation’s economy and employ more than 12 million men and women who make things in America. To maintain manufacturing momentum and encourage hiring, the United States needs government policies more attuned to the realities of global competition. Our regulatory system produces unnecessarily costly rules, duplicative mandates, impediments to innovation and barriers to our international competitiveness. Despite many initiatives and efforts to reduce the unnecessary regulatory cost imposed on businesses, the cumulative regulatory burden continues to expand. The California Public Utilities Commission, which regulates what it calls Transportation Network Companies like Uber and Lyft, passed myriad new regulations Thursday, from rules as small as where the pink mustaches on cars should go to as sweeping as stricter vehicle inspections. A July 14, 2015 re/code headline reads: “Uber Could Have to Pay an Additional $209 Million to Reclassify Its Drivers in California.” That cost to Uber would be passed on to rideshare customers who would pay higher fares, and to drivers who would earn less, plus the the value of Uber the enterprise would be reduced by these new labor regulations. Already Uber is spending millions of dollars to defend its ability to operate as it hires extra lawyers, lobbyists, and public relations consultants. Uber and Lyft are service companies rather than manufacturers, so don’t face direct competition from Chinese and other overseas manufacturers. 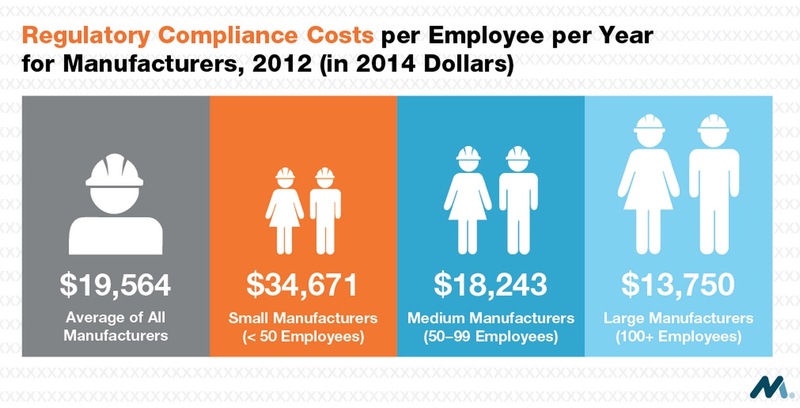 Thousands of U.S. manufacturers though do struggle with regulations as they try to compete with international firms. Higher labor costs are one issue, but U.S. workers are usually much more productive, so their higher wages don’t make U.S. firms less competitive. Work rules however, can be an issue. U.S. firms have product development cycles that can require work long hours during crunch times (and less hours before and after). Should employees be allowed “comp time” for long hours, or should state and federal regulations mandate time-and-a-half for extra hours? Are start-up entrepreneurs and enterprises in the U.S. burdened by the same labor regulations designed for large manufacturers? Regulatory costs to Uber and Uber customers are similar to thousands of other regulations laced across the economy. The estimated total: $2,000,000,000,000 a year! 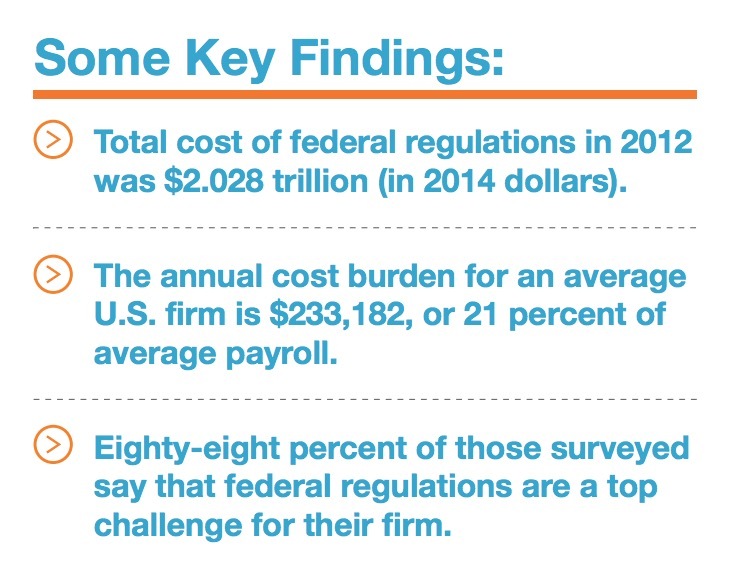 (two trillion dollars), according to studies on regulatory costs. Liberty of Contract: Rediscovering a Lost Constitutional Right looks at the justice arguments for the court system to defend liberty of contract from special interest legislation. The natural rights claim is that people’s life, liberty, and pursuit of happiness ought not be infringed by government. But thousands of state and federal regulations, the book claims, have li ttle current safety rationale. The 2016 Ten Thousands Commandments report is here. This research shouldn’t be seen a “greedy” corporations just trying to evade costly regulations. 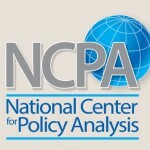 Public choice economists argue that most regulations are promoted by businesses and industry associations as protection against competition or litigation. This is known as regulatory capture theory. Ideally, Congress would escape the embrace of business, labor, environmental, and other interest groups, and reduce or eliminate regulations that raise costs without delivering safety or other benefits. To some extent judicial restraint arguments encourage the federal court system to defer to Congress as it passes both helpful and harmful legislation. But judicial engagement advocates argue the court should step in to block regulations that interfere with use of private property and otherwise lawful liberty of contracts. The National Association of Manufacturers (NAM) has issued a report that shows the macroeconomic impact of federal regulations. 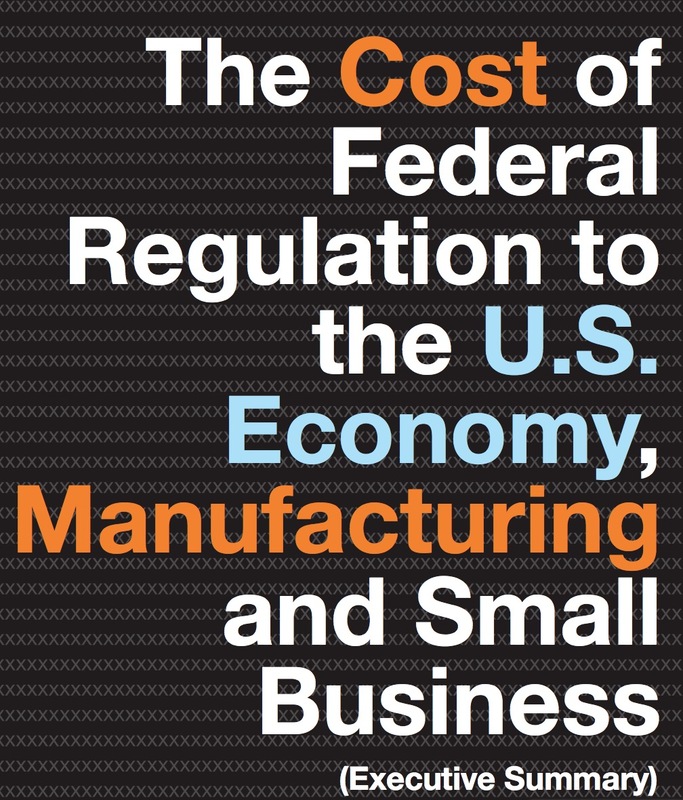 The study also reveals the extent to which manufacturers bear a disproportionate share of the regulatory burden, and that burden is heaviest on small businesses and manufacturers because their compliance costs are often not affected by economies of scale. Free enterprise capitalism is a different political system from a mixed economy where regulatory favors are readily available. Also important: Just as economic regulatory agencies are captured by special interests, much of what is considered social or health/safety or environmental regulation may self-interested rather than public-spirited. Even when regulation “works,” the overall or societal benefits can be outweighed by costs; also the social calculus approach to “net” benefits can ignore wealth transfers, property takings and due process. American enterprises that hurt customers, endanger employees, or pollute air and water should face legal challenges and be forced to pay for damages. Regulations that raise costs without protecting consumers, employees, or the environment end up reducing jobs, lowering wages, and raise costs for consumers. China’s booming economy over the last decade has drawn vast quantities of agricultural goods and commodities like iron ore, coal, oil, and copper from around the world. Australia, Indonesia, and Africa are major sources of China’s agriculture and natural resource imports, and so is the United States and Latin America. 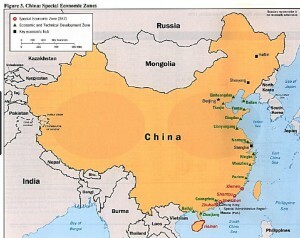 China’s aims in the region are expansive. In 2015 it signed a slew of agreements with Latin American countries promising to double bilateral trade to $500bn within ten years and to increase the total stock of investment between them from $85bn-100bn to $250bn. China also wants good relations in order to diversify its sources of energy, to find new markets for its infrastructure companies and to project power, both soft and military, in the western hemisphere. Four raw materials—copper, iron, oil and soyabeans—account for three-quarters of the region’s exports to China, a greater share than they do of trade with the rest of the world. A generation after the signing of the North American Free Trade Agreement, the United States and Mexico couldn’t be more interdependent. Anti-Americanism, once a staple of Mexican politics, has largely faded. The flow of migrants from Mexico to the U.S. has, more or less, abated. Economic ties have fostered greater intimacy between intelligence services and security agencies, which are today deeply enmeshed in each other’s business. The Chinese invested heavily in places like Peru, Brazil, and Venezuela, discreetly flexing soft power as they funded new roads, refineries, and railways. From 2000 to 2013, China’s bilateral trade with Latin America increased by 2,300 percent, according to one calculation. A raft of recently inked deals forms the architecture for China to double its annual trade with the region, to $500 billion, by the middle of the next decade. Mexico, however, has remained a grand exception to this grand strategy. The Atlas Media page allows selecting China’s imports by country as well as year. Brazil and Mexico are by far the largest economies in La tin America (Argentina and Columbia are next largest), so not surprisingly Brazil and Mexico export the most to China each year. 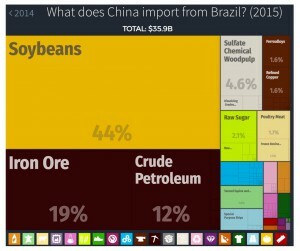 At right is visualization of 2015 Chinese imports from Brazil, valued at nearly $36 billion. 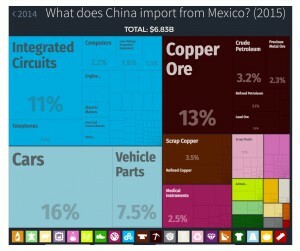 Next visualization (below right) is of 2015 Chinese imports from Mexico, valued at almost $7 billion. China is currently importing less than one-fifth as much from Mexico as from Brazil. Brazil’s economy is larger, but not that much larger. In fact, in the decade to 2012, the region as a whole averaged growth of 4.1 percent, while Mexico’s economy grew at a rate of 3.3 percent. During this boom, Latin America experienced an economic transformation with laudable achievements: More than 70 million were lifted out of poverty while the middle class expanded by more than 50 percent. Yet these developments were not echoed in Mexico, where the poverty rate stagnated. Even today, over 46 percent of the population live in poverty, with a third of Latin America’s extreme poor in Mexico. China imports raw materials from Latin American countries, but also invests heavily in factories and infrastructure. After decades of rapid economic development, Chinese firms have developed expertise in both industry and infrastructure. In October, China’s state-run media promised that the two countries “would elevate military ties to [a] new high” and described the possibility of joint operations, training, and logistical support. A month and a half later, Mexico sold a Chinese oil company access to two massive patches of deepwater oil fields in the Gulf of Mexico. And in February, the billionaire Carlos Slim, a near-perfect barometer of the Mexican business elite’s mood, partnered with Anhui Jianghuai Automobile to produce SUVs in Hidalgo, a deal that will ultimately result in the production of 40,000 vehicles a year. …shift U.S. priorities in Latin America to strategies that preemptively disrupt the financial networks of Islamists, aid allied governments with legal and law enforcement support, and increase intelligence-gathering capabilities in the region. Leverage for security cooperation often follows from economic engagement. If U.S. trade and investment policy shifts to disengage from Mexico and other Latin American countries, consequences include expanding Chinese economic integration and military cooperation as well as reducing joint U.S./Latin American cooperation on security and intelligence concerns. Romer: The two most interesting precedents for Charter Cities are Hong Kong and Shenzhen, so it does have some origins here. They each played important roles in fostering reform of the Chinese economy. But it is an approach that can be used in any country that wants to implement reforms, even a developed country like the United States. It turns out that this is a unique time in human history when it is possible t o start many new cities because there is an enormous, unmet demand for city life. Shenzhen was China’s first Special Economic Zone, opening to foreign investment and free enterprise in 1980 under Deng Xiaoping. 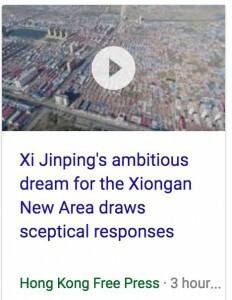 An earlier post (Brexit, Texit, Calexit, and the Future of China) looked at Shenzhen and Shanghai Pudong New Zone, China’s early open reforms designed to follow the success of Hong Kong. These three regions are the freest and prosperous in China. Hong Kong is considered the freest economy in the world (Hong Kong story about Heritage Economic Freedom Index, and here is story of Fraser Inst. Economic Freedom of the World Index). On April 1, President Xi Jinping announced plans to transform a little-known farmland called Xiongan into a glittering technology and innovation hub, complete with new businesses, universities and state-of-the-art transportation. Policy makers introducing SEZs must overcome the knowledge problem to avoid misdirected economic planning. Yet, the scheme can only fulfill its purpose if it also prevents destructive rent-seeking behavior, both from businesses and from government authorities. The political economy framework of SEZs can be applied to judge their potential efficacy, something that orthodox studies of country features such as natural resources, infrastructure, and zone location fail to do. The Indian and Chinese experiences with SEZs illustrate these points. Like Shenzhen before it, Xiongan is expected to offer phenomenal investment opportunities. Remember, we’re talking about a brand new megacity literally built from the ground up. According to UBS estimates, the project will require as much as $580 billion over the next 20 years. 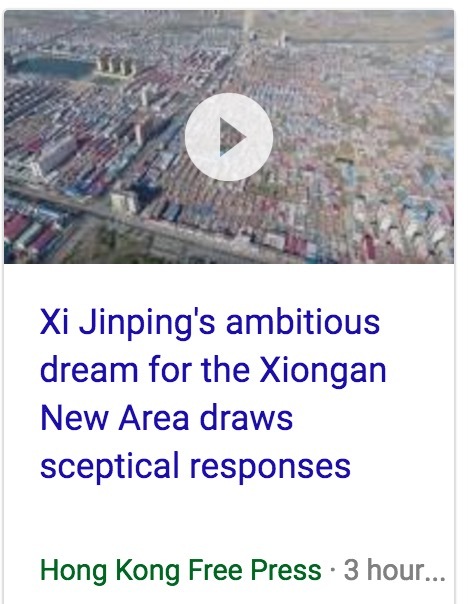 The South China Morning Post‘s page on Xiongon New Area SEZ is here. How do you solve a problem like protectionism? With a U.S. president threatening a trade war, populism dominating political headlines in Europe, and decreasing popularity of trade deals, think-tankers and political pundits are scrambling for ways to escape a vicious circle towards ever-higher barriers to trade. Turning this development around may take a long time. In the mean time, though, countries may still create spaces where the barriers do not apply. Policy debaters have a U.S./China policy resolution and Texas UIL has a Spring Lincoln-Douglas topic: RESOLVED: In matters of international trade, globalization ought to be valued above protectionism. Last week I purchased a fire pit for a friend. It was $125 delivered by Amazon…from China. 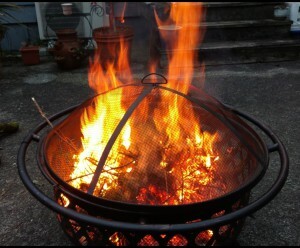 Should I have instead have tried to purchase a similar fire pit made in the U.S.A.? Well, money was an issue. “Fire Pit” wasn’t in my April budget nor in my friend’s budget. We could have dug a hole in the yard and lined it with bricks. But a portable fire pit for the patio seemed preferable. Amazon kept part of the $124.94 to cover delivery costs, hosting item and transacting the sale. Plus Best Choice Products, a Southern California company (originally Sky Billiards) kept a slice to cover their costs and (hoped for) profits for importing this fire pit from somewhere in China. The Peterson Institute for International Economics estimates that past gains from U.S. trade and liberalization of investment range from $9,270 to $16,842 per household. Another study found that that “a 1 percent increase in trade raises real income by 0.5 percent.” Other research finds that the trade flowing from globalization has increased consumer purchasing power for middle-income households by 29 percent. As for the poor, they benefit most from the availability of low-cost goods, seeing as much as a 62 percent increase in purchasing power over what they would have in a world without trade. The first takeaway from this paper is that more competition, from trade or otherwise, doesn’t necessarily lead to more innovation. While competition can force firms to innovate to fend off rivals, it can also cut profit margins, leaving companies with less to invest in research and development. Others disagree. Globalisation has been attacked by critics of free market economics, like the economists Joseph Stiglitz and Ha-Joon Chang, for perpetuating inequality in the world rather than reducing it. But it is clear that globalisation is not simply a process that started in the last two decades or even the last two centuries. It has a history that stretches thousands of years, starting with [Adam] Smith’s primitive hunter-gatherers trading with the next village, and eventually developing into the globally interconnected societies of today. Whether you think globalisation is a “good thing” or not, it appears to be an essential element of the economic history of mankind. For LD debaters, is there a value in protecting U.S. fire pit manufacturers from global competition? With choices limited by fire pit tariffs, would people purchase a more expensive U.S. versions? Spending more on U.S. fire pits leaves consumers less to spend on other goods and services, and/or less to put aside as savings. The US Commerce Department announced earlier this week it would impose punitive tariffs ranging from 63.86 per cent to 190.71 per cent on China’s stainless steel products after concluding anti-dumping and anti-subsidy probes. Domestic steel companies have raised prices by as much as 50% on popular types of steel in recent months. That has boosted their profits, but troubled customers who say they can’t afford the higher cost. Steel users say they are looking for cheaper alternatives from countries unaffected by the tariffs. Prehistoric people likely brought fire and fire-making tools with them as they traveled the world. Post-historic people trade fire pits instead. Should the U.S. encourage China to further decentralize economic and political authority? Soft or full partition has been advocated for Iraq, Syria, and Libya. The politically-decentralized canton-nation of Switzerland, and past and modern city-states show the success of devolving political authority. Hong Kong and Taiwan, followed by Chinese SEZs like Shenzhen and Shanghai Pudong New Zone, are now the most free and prosperous places in greater China. Political decentralization is in the news with English voters choosing (just barely) to exit the European Union. Before the last election, when most expected Hillary Clinton to win, Texas citizens and politicians openly called for a similar Texit (see: “From Brexit to Texit? Renewed calls for Texas secession after EU vote,” (CBS News,” June 25, 2016). Donald Trump unexpectedly won, which led many in California to call for “Calexit” instead: “‘Calexit’ movement says Trump win helps their calls for California to secede,” (LA Times, November 9, 2016). California’s approximately 39 million population equals the total combined population of the nation’s 22 smallest states. I can regale you with geographic trivia, but the closer you look, the harder it is to fathom why talks of breaking up California are not taken more seriously. California is too large in size and population to be governed fairly. In California, we have one Assembly member for every 483,000 residents. That’s the worst ratio in the country. In New Hampshire, which has the best ratio, there are approximately 3,200 residents for every member of the statehouse. What are your chances of influencing or even reaching your legislator — or even his or her staffers — in California? In a state as big as ours, only the big guys — the political parties, labor unions and other special interests — matter. Breaking up one mega-state into multiple reasonably sized states, where people with like-minded interests can better govern themselves, is a great idea that gives voters more power. If that won’t happen, then we at least need more representative districts. What Texas could do, however, is divide itself into as many as five states, a privilege given to it as a unique condition of its annexation to the Union in 1845. For Dallas-Fort Worth, this is a no-brainer: North Texas produces a disproportionate amount of revenue for the state, and it would get to keep that money in a state where Dallas is the capitol. Economically, then, it would be a huge benefit to the area. But politically, what would Texas as a whole look like if it chose to do this? Would dividing a large, red state into five smaller, reddish states benefit Republicans in the Senate? In the Electoral College? Back to political decentralization in China, this page, “China’s Special Economic Zones,” offers a valuable outline and history of China’s SEZs. And here is 2011 World Bank post on SEZ Success and Challenges. Special economic zones (SEZs) are all the rage among governments hoping to pep up their trade and investment numbers. Such havens are appearing even within havens: the Cayman Islands has a new one. “Any country that didn’t have [an SEZ] ten years ago either does now or seems to be planning one,” says Thomas Farole of the World Bank. How can U.S. policy reforms best embrace and encourage the advantages of political and economic decentralization, innovation, and competition? For students debating the U.S./China resolution, could U.S. policy reforms engage Chinese SEZs is ways similar to US policy toward Chinese city-states like Hong Kong. Taiwan, and Singapore? The Independent reports “Ford to launch plug-in electric car in China as Beijing lays out strict air pollution rules to combat smog,” (April 6, 2017). (See also: “Ford to Make Electric Cars in China Amid Green Drive,” Wall Street Journal, April 7, 2017). Electric cars offer many advantages, but reducing pollution isn’t always one of them. 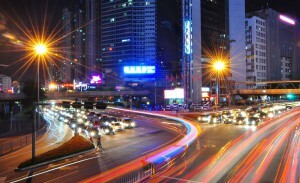 Instead, electric cars shift the point of pollution to the electricity source. So electric cars charged in the Pacific Northwest draw power from very clean hydroelectric dams. Electric cars in California can require importing more power from coal burning plants in other states. …Thanks to generous tax incentives, the share of electric vehicles has grown faster in the Netherlands than in nearly any other country in the world. But behind the green growth is a filthy secret: In a nation famous for its windmills, electricity is coming from a far dirtier source. Three new coal-fired power plants, including two here on the Rotterdam harbor, are supplying much of the power to fuel the Netherlands’ electric-car boom. Your electric car doesn’t need gas, but it still might get its energy from burning carbon. It depends on how your local grid generates electricity. “If you use coal-fired power plants to produce the electricity, then all-electrics don’t even look that much better than a traditional vehicle in terms of greenhouse gases,” … But if your local grid incorporates a fair amount of renewable solar and wind energy, like California, your electric vehicle is pretty clean. In 2014, less than 5% of California’s total energy demand was served by coal and petroleum coke-fired plants, nearly all of it from plants outside the state, according to an Oct. 12 report from the California Energy Commission. By 2026, California will end virtually all its reliance on coal. But at times, as much as 50% of Southern California’s electricity still comes from coal-fired plants, Steve Homer, director of project management for the Southern California Public Power Authority, or SCPPA, told SNL Energy. A series of studies by Tsinghua University, whose alumni includes the incumbent president, showed electric vehicles charged in China produce two to five times as much particulate matter and chemicals that contribute to smog versus gas-engine cars. Hybrid vehicles fare little better. Should all utility consumers subsidize the wealthier few who like to drive electric cars? It’s hardly a fair question. Yet that’s what the California Public Utilities Commission will eventually have to decide, now that utilities have proposed a $1 billion plan to build and effectively own the state’s retail charging network of tomorrow. … a second problem created mostly in California, a serious glut of renewable energy. Starting in 2006, lawmakers ordered utility consumers to subsidize rapid increases in wind and solar energy production. Today the state has as much as 50 percent more power available than needed on a sunny, windy winter afternoon. And then, when the sun goes down or weather causes production to drop, fossil-fuel plants fire up because batteries are too expensive. ZHOU: I bought a hybrid model from a Chinese carmaker called BYD. And it stands for Build Your Dreams. I paid $24,000 for the car. And that’s 30 percent off the sticker price. But I paid no purchase tax. And the best thing that comes with the car is a free Shanghai license plate, which is worth $13,000. ZHOU: Oh, yeah, it’s very long. And it’s really heavy (laughter). It takes seven hours to charge the car. And the car can drive 40 miles on one charge. But fortunately, I don’t have to charge the car every day. But I do expect that the infrastructure for these kind of vehicles will get better over time because China’s government has planned to build 12,000 charging stations by the year 2020. Building 12,000 charging stations will be another expense, and money that could have been used to modernize Chinese coal power plants instead of catering to already-subsidized electric car buyers. Shanghai does have a showcase clean coal plant. “China hopes Shanghai clean coal plant sets example,” (PEi, August 23, 2016) and “China’s drive to clean up its coal power, one plant at a time,” (New Scientist, August 22, 2016). Yet coal still accounts for about two-thirds of China’s energy provision, and more than 200 new coal plants have been given the go-ahead. Globally, too, coal demand and production are forecast to grow until at least 2040. Technology that improves coal-burning efficiency could be useful for retrofitting older power plants, and cut down their emissions. Even with expanded wind and solar power in China, coal will continue to be a major power source for its expanding electric car users. An earlier post “For Still-Poor China, Coal Pollution from Home Heating,” reviewed the challenges of China’s antiquated coal-power plants, especially those for home heat. And here’s a short video of electric car charging challenge from South Africa. Cowen, a frequent visitor to China, is a well-known free-market-oriented professor of economics at George Mason University in Fairfax, Virginia, near Washington, D.C. His book – The Complacent Class: The Self-Defeating Quest for the American Dream – has provoked widespread discussion and has been reviewed and analyzed in all the leading newspapers and policy journals. Cowen sees a “make China great again” spirit than unifies elites and everyday people across China. Chinese people know the distant history of their country as leading the world in culture, agricultural productivity, and technology. China has an advantage similar to America in the 1950s and 1960s where so many grew up poor and focused on working to get ahead. America’s Great Depression from 1929 to 1939 impoverished tens of millions and was followed by World War II. After World War II, incomes and productivity improved across the U.S. economy through the 1950s and 1960s much as income and productivity across China has grown over the last three decades. He says that his experience at George Mason University leads him to believe that much of China’s dynamism comes from the opportunities it offers to non-elite young people. “It is striking to me how many of the good Chinese students in the US come from rural areas and do not have very wealthy parents. They are not typically from the poorest families, but they are not just from the elite families in Shanghai. 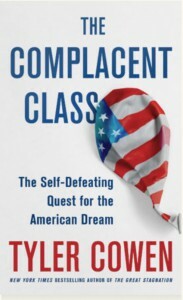 More on The Complacent Class here (Mercatus Center event audio). Many posts on China issues on Cowen’s M arginalRevolution blog. And “Learn more about China” posts and links on Marginal Revolution University page.